Photo Opportunity: Tour Starts 6:30pm Thursday 23rd April, Hanover Square, London in front of Vogue UK HQ. 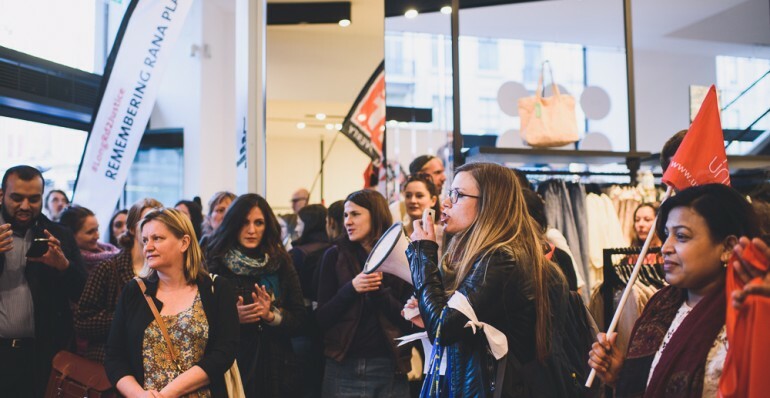 A public walking tour along Oxford Street, London, will highlight the shameful role of high street brands in the two years since the Rana Plaza disaster in Bangladesh in which over 1100 workers died. 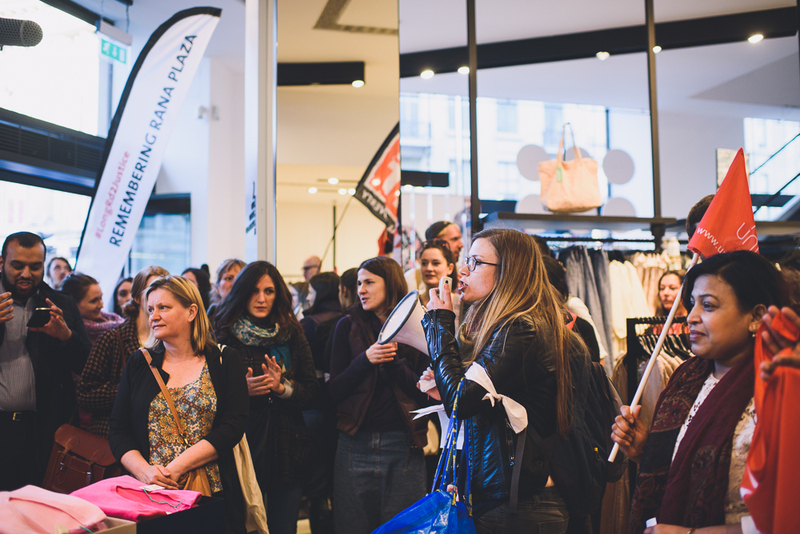 Fashion campaigning groups Labour Behind the Label and War on Want will lead fashion lovers from shop to shop highlighting the role UK high street brands such as H&M, GAP and Benneton have played in denying justice to Bangladeshi Garment workers. Wearing white armbands, a Bangladeshi symbol of grieving, the tour will include stops at shops, performance poetry and audience participation, as the story of the Bangladeshi garment workers’ struggle for justice is told. The walk will start at 6:30pm Hanover Square, [Where Vogue’s UK HQ is located] and then visit H&M, Benetton, & GAP. A short video of the walk will be available at youtube.com/user/povertyispolitical on the morning of Friday 24th. On April 24th 2013 over 1100 workers were killed and thousands injured when the Rana Plaza building in Bangladesh collapsed. Workers had noticed cracks in the buildings’ structure, but were compelled to return to work when threatened with loosing wages. GAP has been criticised for not signing up to the Bangladeshi Safety Accord. Instead it has promoted an alternative weaker agreement the Bangladeshi Safety Alliance, which is not legally binding, does not commit brands to ensure financing is available to improve safety in factories and critically does not involve trade unions and workers’ own representatives.